• Monitor real-time on site conditions such as temperature, relative humidity, and calculated Heat Index. • Automatically receive text messages/SMS alerts or app notifications for Heat Index with the current site specific conditions. • Monitor the the telemetry station and receive automatic alerts if there is an issue. 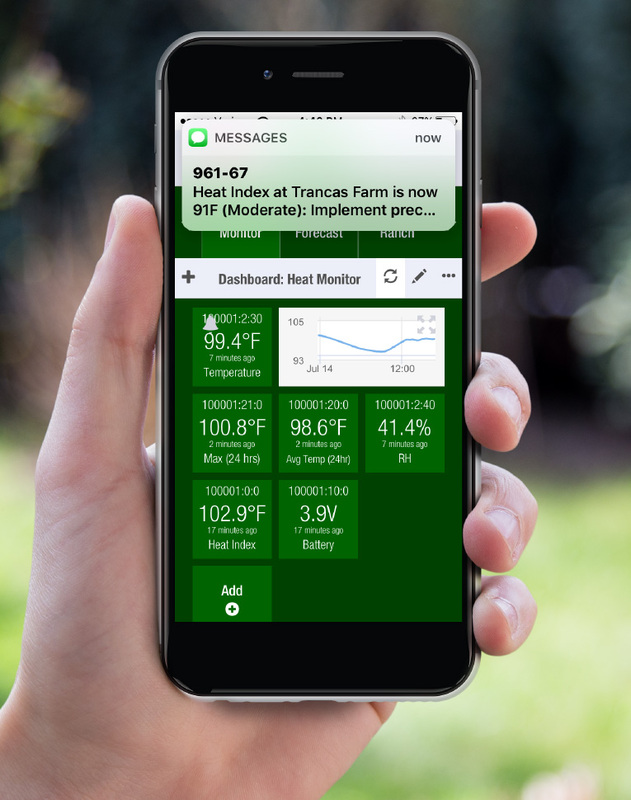 The Ranch Systems Heat Alert Solution is cloud-based and collects real-time data. The data is accessed via myRanch, the Ranch Systems online application accessible by Smartphone, tablet or computer. 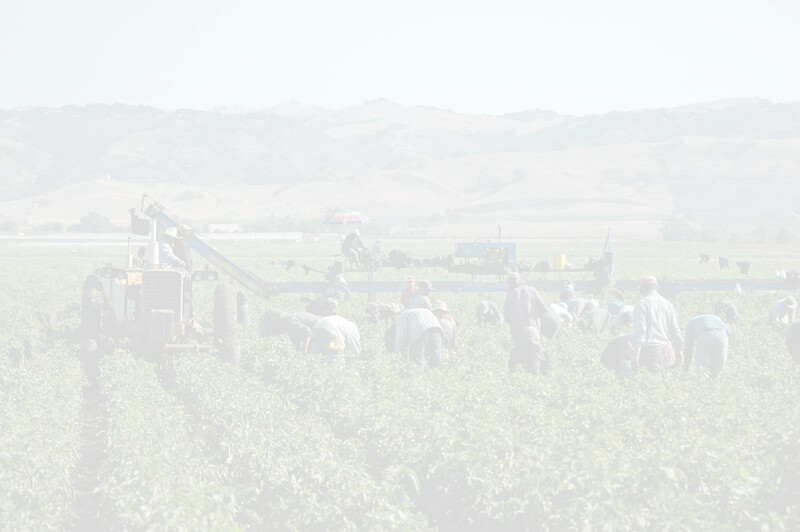 This enables managers to monitor real-time field conditions that may impact worker health. Integral to the system is a powerful and customizable alerting function that notifies users of critical conditions via text, email or phone. Weekly weather reports are delivered automatically by email for later reference and or auditing. Easily fulfill OSHA Requirements for documenting and reporting using features provided by the Ranch Systems software. 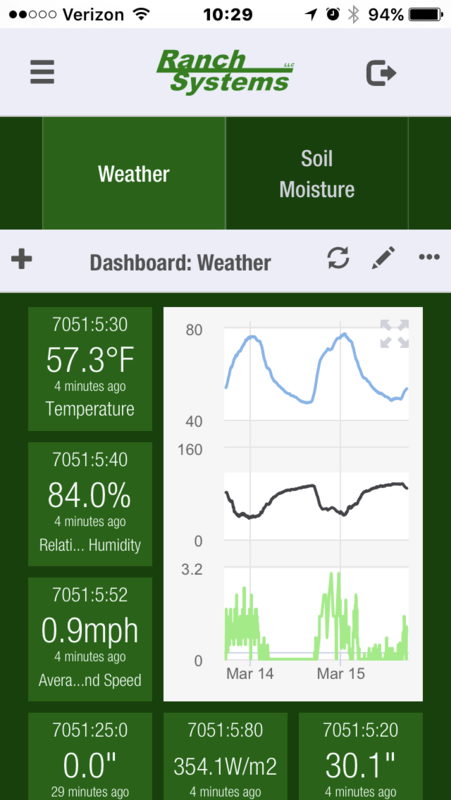 Long-term documentation of field specific temperatures and weather conditions provide the ability to generate reports such as a monthly log of interval temperatures during the day for any particular site. These can be distributed automatically by email to designated recipients to satisfy any reporting requirements.